At our dental office in Danville, we want everyone to be confident with their smiles. But we know that sometimes that’s just not the case. Instead of living with a smile you’re unhappy with, there are tons of cosmetic dentistry treatments that can help give you a smile you’re proud to show off. In today’s blog we’re going to highlight one of the most common forms of cosmetic dentistry, dental veneers. 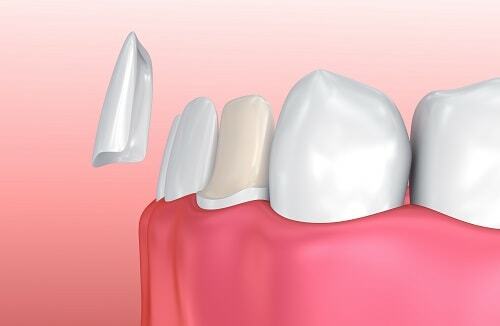 The process to get dental veneers typically takes one or two treatment appointments as well as a consultation, which is the first step in pursuing veneers. During the consultation, you and your dentist in Danville will talk about your smile, what you’d like to change, and your personal treatment plan. At the next visit, treatment will begin. Don’t continue to live with a smile that affects your confidence or that you simply don’t like. There are treatments available that can help. Call our Danville dental office to schedule a consultation with us today. We’ll be happy to talk with you and determine the best cosmetic dentistry option for you.